In Pirate We Trust Jewelry Giveaway: the winners !!! Congratulations Maegan and Debbie, I checked and you did all the tasks asked from the Giveaway ! I am gonna give your contacts to In Pirate We Trust so they can activate your $ 25 gift card, happy shopping !!!. Thanks everyone for taking part in this Giveaway, stay tuned for more and do not forget to enter the amazing Giveaway below ! 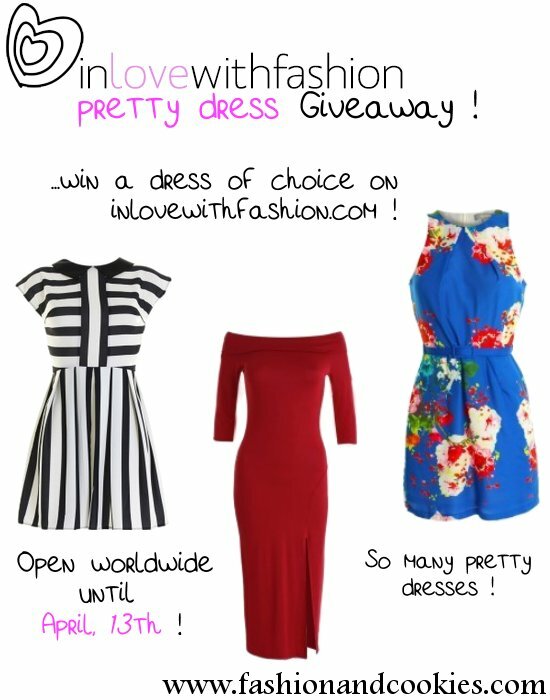 Reminder: In Love with Fashion "Pretty dress" Giveaway ! Let me remind you that Fashion and Cookies teamed up with In Love with Fashion to offer you a great giveaway, up until April 13th ! A lucky follower of this blog will win a dress of choice on InLoveWithFashion.com, the giveaway is open worldwide and to read the rules and enter you can click here !, so what are you waiting for ? Find your favorite dress and DO enter the giveaway for a chance to win it ;) ! That should be a very nice Easter surprise, right ? :-). Ci piacciono sempre moltissimo i tuoi outfits!! Buona Pasqua!!! I can't choose one perfect outfit, because they all are! nice, my favourite is last one :) Happy Easter dear! All my love and support dear! My favorite outfit is still the first one, with the burgundy skirt =D =D Gorgeous!!! Sono contenta perchè seguendoti da poco me ne ero persa qualcuno....bene bene, ora recupero alla grande! 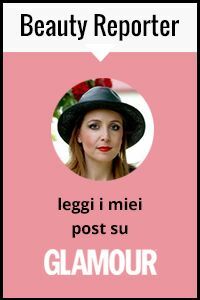 Stupendo il primo,la lunghezza del giacchino che arriva esattamente alla cintura senza quindi nasconderla, il richiamo di colore tra rossetto, occhiali vestito ed stivaletti, il binomio prugna/nero lo rende un outfit splendido. E sempre tra quelli che mi ero persa mi piace molto anche il secondo, decisamente più semplice, ma la filatura del maglione ed il colore fanno la differenza. Ottimo secondo me lo spunto di abbinarci dei cuissardes, lo rendono decisamente più "aggressivo" . Un bacio grande e buona Pasqua. wonderful looks. i love them all. Buona Pasqua cara e speriamo che cambi il tempo in modo da poterci godere un po' di sole almeno domani! I love the one with the faux fur on :) Love the color. Tutti belli questi look proprio perchè veri!! Sono molto carini questi look! Mi piace molto il terzo in particolare! love the number one the most!!! il mio preferito è il primo!!! i love pics of u! The fuschia mini dress is my favorite! Io ho la fortuna di avere una madre che non sa cucinare quindi questi giorni non ho mangiato nulla ah ah ah!! Loving these cozy and chic winter looks even though spring has sprung . . .
Mi piace il modo in cui ti diverti a creare "personaggi" differenti tra loro! Questo è proprio lo spirito giusto: giocare a trsformarsi, approvato!!! Adoro la maglia di ramones!!! Love the last look! Sooooo glam and stylish! love your looks -especially the one with the givenchy look-alike boots :o) i love them! Glad you had a nice Easter! Now if only the weather would cooperate. HaHa Fabulous outfits! You're very pretty! so lovely looks! thanks for visiting my blog! Helooo, I love your style, So happy to get here, you have a very cute blog!! Thank you for the comment on mine, hope you can follow each other :D kisses!! che bella con la maglia a righe e il gilet lungo nero, ne voglio uno anche io!!! bellissima! Hi there, I looove the purple coat ! Fuchsia and red mini dress is my favorite outfit! It seems you bring the spring.